Not often does an auto manufacturer successfully blend track proven high performance and long range touring comfort in an affordable, segment topping high performance hatchback; such is the case with Civic Type-R. For 2017, the first Civic to wear the enviable Type-R mark in the United States is now imported from England. 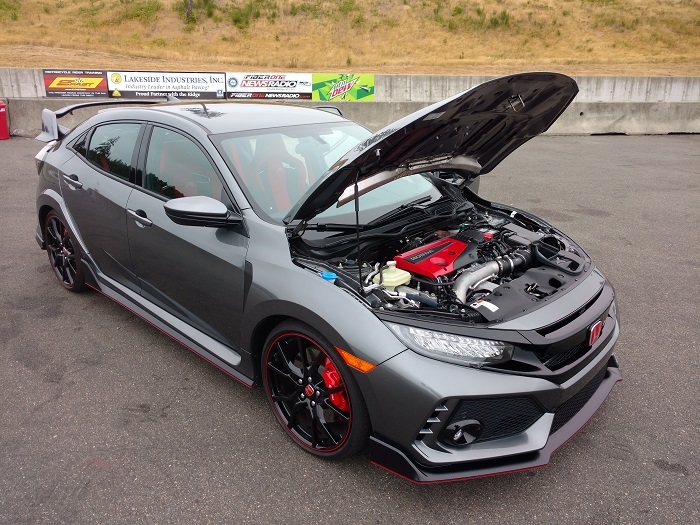 Several years in the making, the Honda Fan Boy Tuner crowd is excited by the arrival of Honda’s Brembo braked 305 horsepower, 6 speed manual transmission super hatchback. And rightfully so. 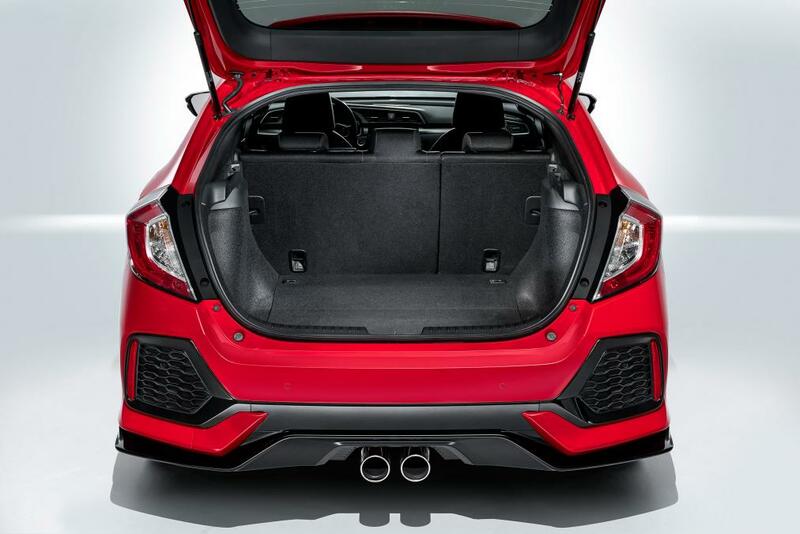 2017 Civic Type-R gives Ford, Subaru, and Volkswagen a run for the money, and will dominate the sub-premium compact performance hatchback segment without the added expense and weight of all-wheel-drive. 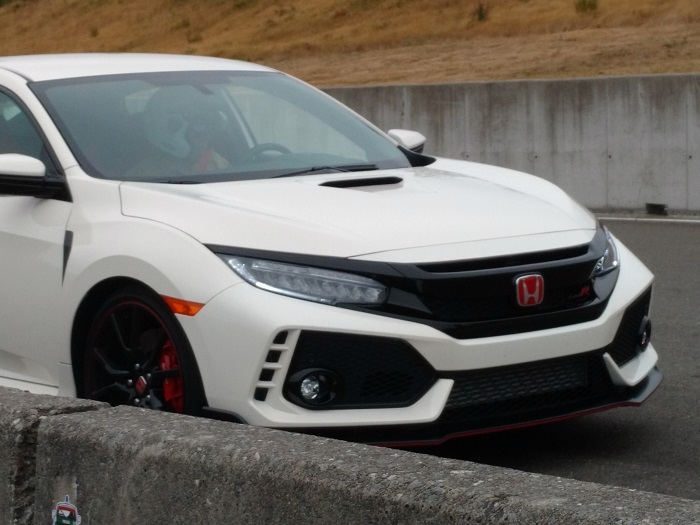 The weight to power ratio of 2017 Civic Type-R is epic, but that’s just the beginning of this story. 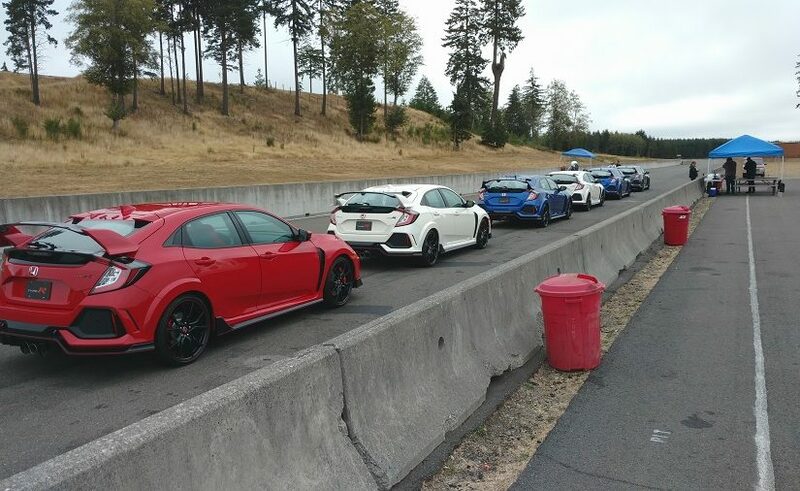 Last week I spent a day with Honda on a 2.4 mile racetrack on Washington State’s Puget Sound. Granted, the record holding 2017 Civic Type-R 5-door performance hatchback excelled on the track, with myself and other auto journalists reaching rev-limiting speeds, on a multiple elevation and downturn track that rivals many in Europe and the U.S.. Read my track day account here. Truly, where 2017 Honda Civic Type-R surprised this rather jaded journalist and other road-hardened press jockeys was on the road. 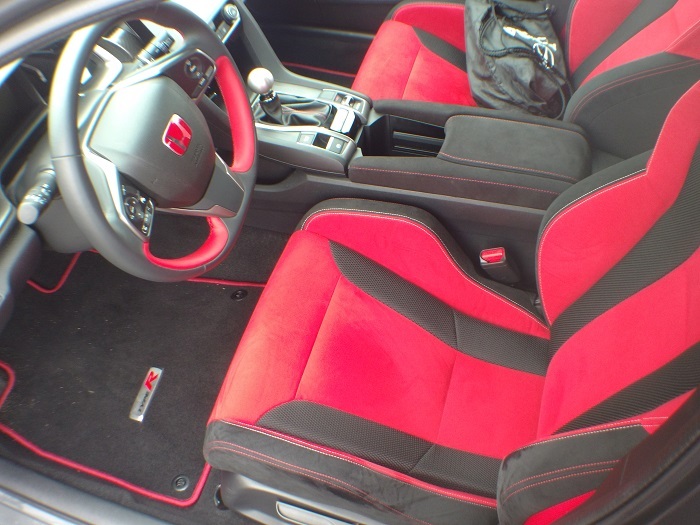 Frankly, I wasn’t anticipating the ride refinement, cabin comfort, hands-free connectivity, and overall quality fit and finish encountered behind the wheel of Honda’s most powerful turbocharged Civic produced to date. After 4.5 hours, and a very twisty 180 miles through the beaches, grasslands and woods of Puget Sound, I was ready to purchase Type-R, or at least beg, steel, or borrow one — it’s that good man. During Honda’s technical presentation, we learned the finer points of Type-R increased frame rigidity, active dampening suspension, epic cooled Brembo brakes, and the makings of perhaps the most comfortable high bolstered seat in Honda history. The rest is pure Honda touring hatchback, as it should be. On the performance side, Honda employs a race proven VTEC 4-cylinder inner cooled 2.0 Liter dual cam gasoline engine, and arguably the most forgiving 6-speed manual racing class manual transmission in the segment. instant-on, seemingly endless torque is transferred to the pavement via a limited slip front-wheel drive differential. Yet when behind the wheel, one would be hard pressed to differentiate Civic Type-R handling from the best AWD (all-wheel-drive) rally cars on the track today. Honda engineering eliminates torque steer in Type-R, resulting in a very positive straight-on launch off the light — Type-R traction is measurably sticky with ZERO brake fade noted under extreme driving conditions. Manufactured on Honda’s compact car world platform, this Civic adds a high performance spin to an already very good European hatchback drive and ride experience. Unfortunately, you may never see, or experience one driving down a road near you. 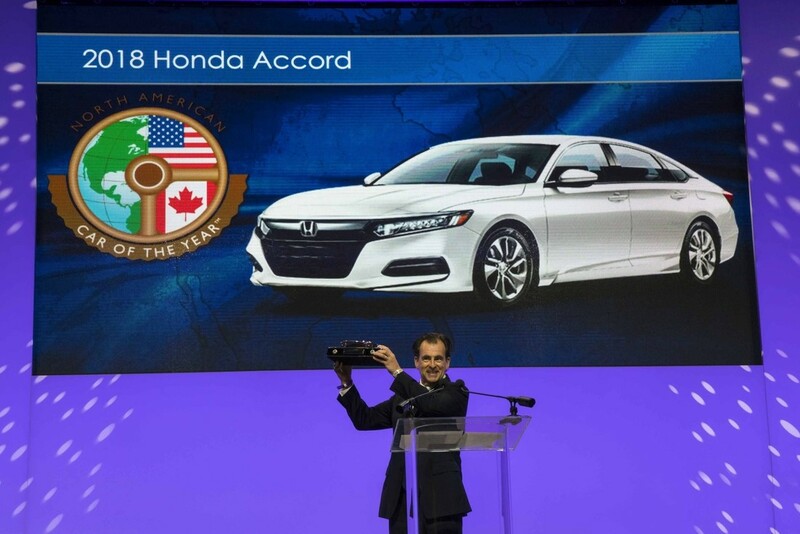 With 1200 + Honda car dealerships in the U.S., not all will take delivery of Honda’s rarest offering. We’re informed by Honda P.R. that annual production if indicated by buyer demand, will peak out at 5,000 units per year — that should keep the resale value up a bit. 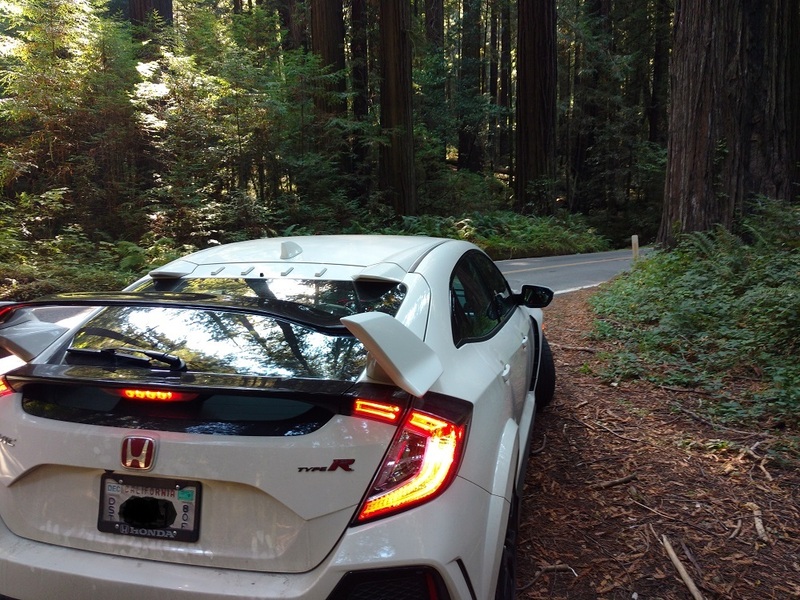 After spending 7 hours behind the wheel of Civic Type-R, I’m sold. Looking to the MSRP of $33,000 + handling, tax, etc, I believe Civic Type-R to be an exceptional buy and drive value. And with the micro-production numbers, look for the initial run 2017 Civic Type-R to be an instant collectible. Nineteen, 16 year old teenage drivers die every day in the U.S. resulting from traffic accident fatality; many of these accidental deaths are avoidable; and more often than not the result of distractions; texting while driving; talking on cellphones, and infotainment related activities. With Honda Motor Company targeting 2025 as its “ZERO auto related death or major injury target year, 2017 Honda CR-V earns US News and World Report’s “Best New Car for Teens” award. What makes CR-V exceptional in a sea of very good compact crossovers? Read on. 2017 Honda CR-V in any trim variant, is the most advanced 2-row SUV in maker’s history. Without question, the latest advent of Honda’s best selling SUV in it’s turbocharged glory, is a pleasure to drive; good looking, and multiple task capable. 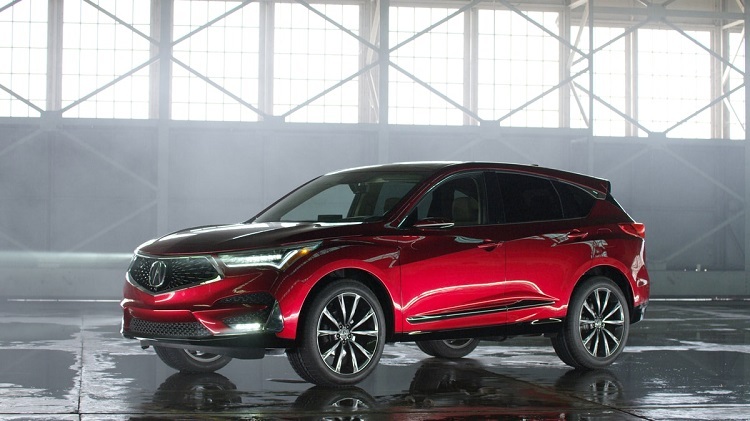 Beyond that, Honda’s near midsize 2-row comes with one of, if not, the most comprehensive active safety suite option in the sub-premium SUV segment. Granted, you and I may not eagerly share our brand new CR-V Touring with the newest driver in the family. 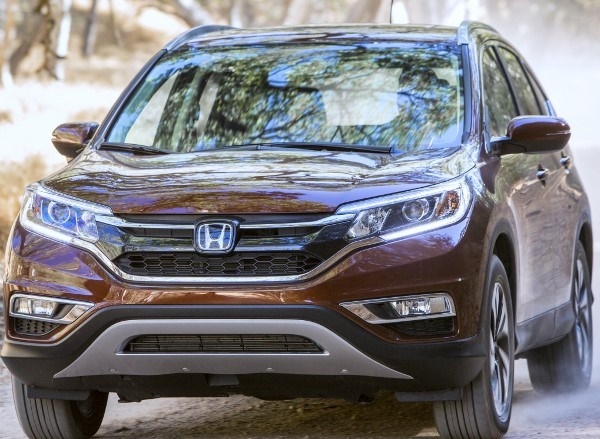 However, US News and World Report ranks 2017 Honda CR-V, when equipped with optional Honda Sensing ™, the “Best New Car for Teens,” in the ever expanding crossover, SUV vehicle segment. Read my latest CR-V drive impressions here. While not 100% Autonomous, 2017 Honda CR-V when optioned with Honda’s award winning Honda Sensing ™, will not only assist your teenage driver in keeping within the driving lane when distracted (often,) but mitigate collision avoidance by applying the brakes, often a split second before the driver becomes aware of pending doom. There’s also, roll-over- prevention, via heightened electronic suspension stability, ABS, electronic brake aided non-skid quick stopping, and much more. Me, I like the adaptive cruise control and “Lane Keep Assist.” Read more about active safety features here. You will find full 2017 CR-V specifications and trim level MSRP here. It’s good to have choices, and that’s what Honda offers discerning auto industry insiders and consumers at 2017 N.Y.I.A.S. This week in New York City, Honda debuts a trio of 2017 Clarity electric cars, more electrification choices than any other mainstream auto manufacturer on the planet. 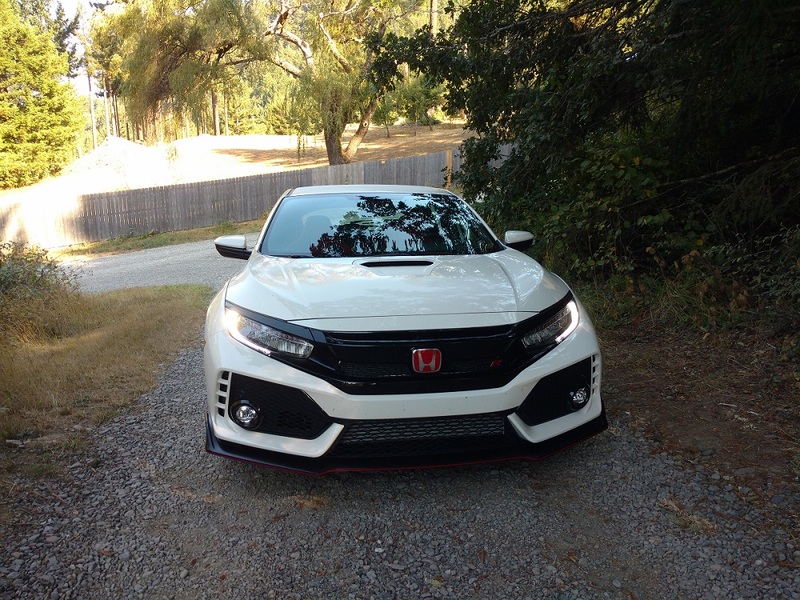 With great buzz surrounding the showing of the first Type-R to wear the Honda label in New York, as well as the Civic Si duo, a bit of air may be let out of the bag that is the advancement of Honda electrification. 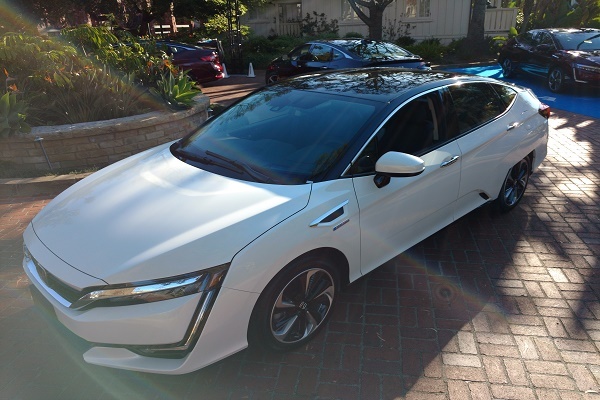 Currently, as reported by yours truly at Honda-Torque News, 2017 Clarity currently drives the streets of California as a lease-only hydrogen fuel cell generated stand alone electric car. I recently drove Clarity FCV on the streets of Santa Barbara. Loved it! Honda public relations tells us that they anticipate the 5-passenger 4-door 2017 Clarity plug-in hybrid sedan to be the best seller in this trio. With internal combustion charge-co generation, and extended plug-in electric only drive range (estimated 40 + miles,) Sedan or not, 2017 Clarity hybrid electric will be a Honda market sales leader. The two electric drive range extremes in the 2017 Clarity lineup is the 360 miles driven between 3-minute hydrogen refueling stop, and the stated 80 miles in-city drive range of the Clarity battery electric. Honda claims that previous Fit EV leasees have no problem with Clarity BEV range. Could be, I’ve yet to speak with a Fit electric fan. There’s more than just a slight undercurrent sweeping a quickly transitioning auto market away from fuel efficient, sub compacts, compacts, and yes, entry level electric cars and crossovers. Although a slight uptick in electric vehicle sales was recorded in 2016, the general trend is consumers opting for gasoline motivated, relatively thirsty, premium or luxury SUVs. The bigger the better. Non the less, Honda takes the long view while embracing the sustainable future of auto-electrification. We recently drove 2017 Acura MDX Sport Hybrid and walked away smiling, despite a torrential downpour. 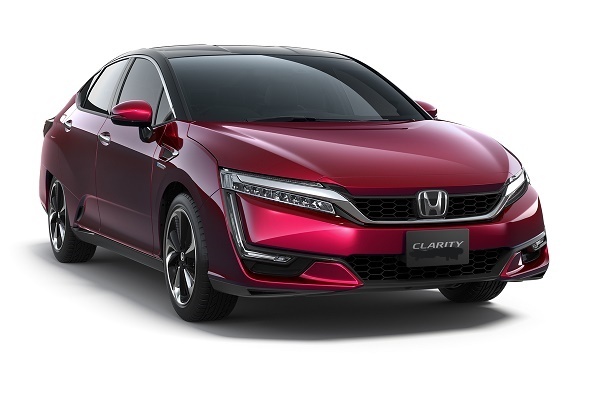 Honda talks of adapting the Clarity platform for light truck duty,perhaps Honda fans will see a hybrid Pilot in the not too distant future, perhaps. 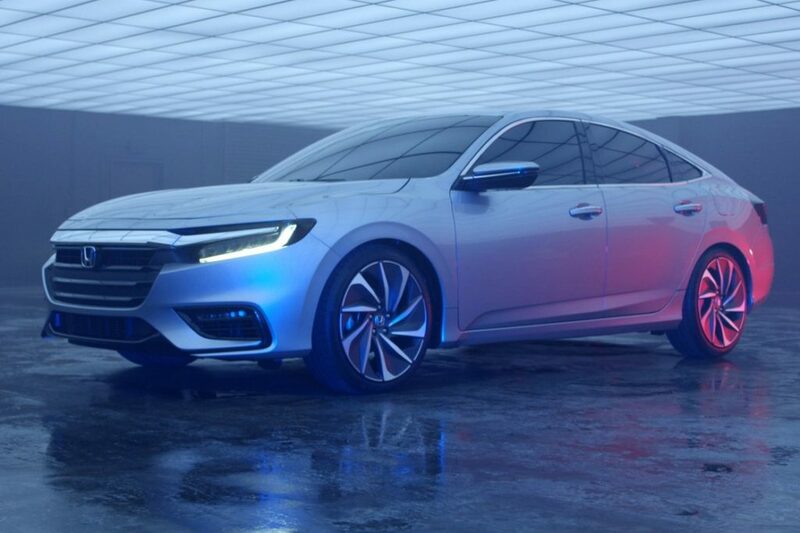 Judging by Acura’s latest ‘teaser image’ of the 2018 TLX premium midsize performance sedan, the Precision Performance inspired design upgrade should not only elevate lagging TLX sales, but take the maker to the forefront of a very competitive, German dominated segment — where frankly, for many well heeled buyers’ price point is secondary to cutting edge good looks and reasonable road performance. I count myself fortunate to have gained much seat time behind the wheel of Acura’s upper trim level sedans and SUVs. While arguably, a bit visually understated when compared to the likes of Audi, BMW, and Lexus, every one of Acura’s offerings makes up for conservative looks, with exceptional road handling, cabin comfort, reasonable MSRP, and top of segment fuel efficiency and safety. With the advent of NSX hybrid supercar, and the presentation of Acura’s Precision Performance Concept, comes a major change of direction in Acura lineup-wide body language. Gone is the Acura Beak, and by most accounts, it won’t be missed. 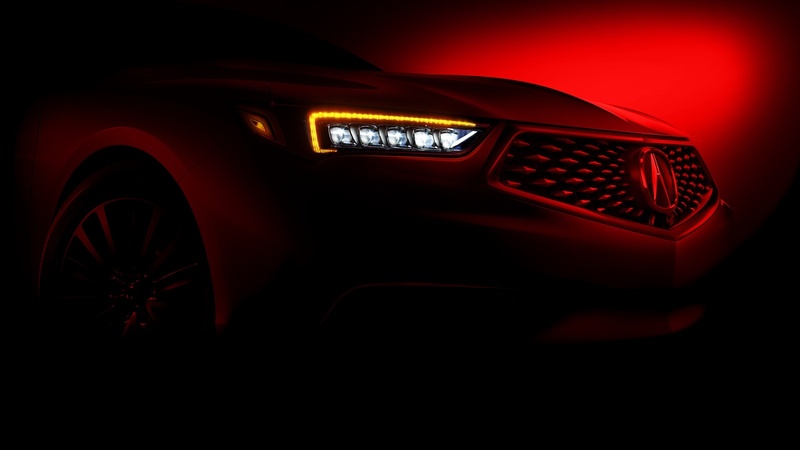 In its stead, as featured most recently in the 2017 Acura MDX refresh is a diamond mesh 3-D grill design, featuring Acura’s unique moniker, front and center. Read my latest take on Acura MDX sport hybrid here. We further note a seamless integration of updated L.E.D. headlamp and running light details. And, as seen in recent spy-shot photos, a round to organic, side panel body line, expressing improved engine performance and torque vectoring road handling to come. Perhaps! As of this posting, Acura’s not saying. But truthfully, I wouldn’t be surprised to find a turbocharged 1.5 or 2 liter 4 cylinder gasoline engine rolling down the production line, linked to a new proprietor Acura transmission, or two. 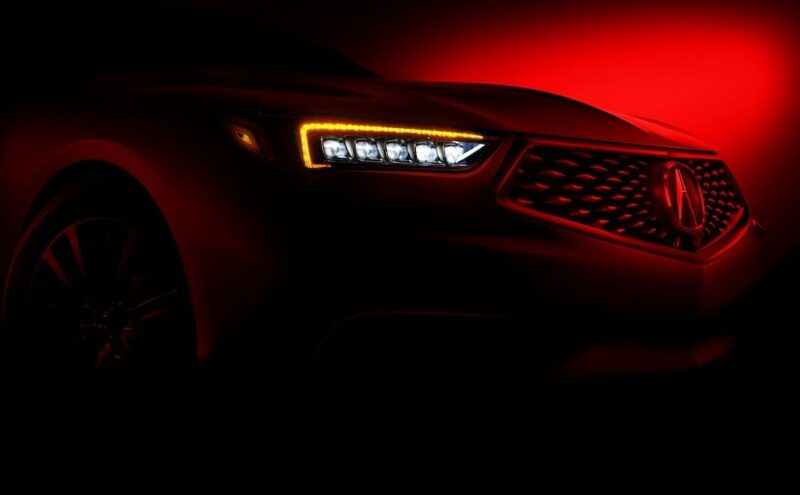 Look for the world debut of Acura’s next advent at the New York International Auto Show in April.